Warning: Spoilers ahead from Aqua’s arc in the series. With Kingdom Hearts III just around the corner, I’ve been thinking about the series, one I’ve been following since its debut in 2002. My life has changed significantly since then: I’ve graduated high school and college, followed by a few odd jobs before landing my gig here at Game Informer, which I’ve been doing for close to seven years. A lot of life events have occurred between the various spin-offs and HD collections, and I can’t say I’m the same person that embarked on this journey almost two decades in the making. One thing remains true, though: Aqua is my favorite Kingdom Hearts character, and that love has only grown with the trickle of breadcrumbs we’ve received in 2.8 and Kingdom Hearts III teases. What is it about Aqua that captivates me? She certainly has a lot of noble qualities: she’s determined, a keyblade-wielding rockstar, and extremely sincere. She’d do anything to help her friends, selflessly putting them first. But it all comes with a great cost. Maybe there’s something damaging about trying to save everyone else and not really thinking about yourself. While Aqua’s story about going above and beyond to protect her friends is a noble one, it’s also intriguing to witness the consequences of her actions. We’re so used to seeing someone make a heroic sacrifice and watching a happy ending follow. Instead, Aqua suffers greatly. Maybe there is such thing as being too kind for your own good. Regardless of what happens in Kingdom Hearts III, Aqua’s well-meaning deeds set into motion the doom and gloom of the world for the next 12 years, allowing for the evildoers to gain the upper hand and bring suffering upon the innocent. 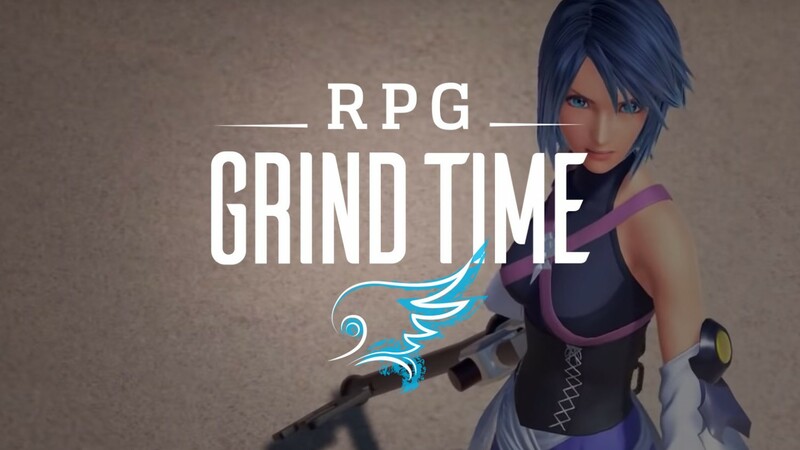 Trapped and isolated in the Realm of Darkness, things look bleak for Aqua, and if the teases from Kingdom Hearts III are anything to go by with her being possessed by the darkness, Aqua will not come out of this unscathed. And for some reason, I’m not worried about her fate. Aqua has been through the worst of the worst; we saw her heartache first hand in A Fragmentary Passage, but she’s survived. Even in her weakest moments, filled with self-doubt, she found renewed hope in Sora, and her “unbreakable connection” with her friends helped her fight the worst of the darkness. She promised Ventus and Terra she’d return to them, and her determination has proven to us time and time that when she sets out to do something, she does it. That doesn’t mean it’s going to be easy street for Aqua, and I really hope that’s not the case in Kingdom Hearts III. Even though, I think Aqua more than anyone deserves a happy ending; she's the only character who has had to face the consequences of her actions. Think about it, Riku gives into the darkness and keeps getting stronger. Sora, while also making his share of sacrifices, fails repeatedly and goes on his merry way. Aqua gets tormented in the Dark Realm for being noble and believing in her friend. It’s hard not to admire Aqua; she’s capable and compassionate, but she has sacrificed so much, even parts of herself, to keep others safe. Aqua cannot protect everyone, nor should she be expected to. The fact that she wants to is what makes me love her, but I think she’s had the weight of the world on her shoulders for far too long. You can only give up so much before you completely lose yourself in the process. I hope this isn’t the case for Aqua, but her struggle is a relatable one.